While filing your income taxes may seem complicated, you may find it even more complicated trying to figure out which form to file. The Internal Revenue Service provides three options for personal income tax filing: Form 1040EZ, 1040A and 1040. Form 1041 is the income tax return for estates and trusts. While you'll be required to file form 1041 if you are filing for a trust, what form you choose for your personal taxes will depend on your eligibility to file each form, how beneficial it will be and how much time to you want to spend on your taxes. Form 1040EZ is the shortest version of the income tax return and, as the name implies, the easiest to complete. However, it is also the most restrictive as to who can file it. You can only file as single or married, not as head of household – and you can't claim dependents. You must have made less than $100,000 and that money can only come from wages, tips, grants, scholarships or unemployment. You can only take the standard deduction and can't claim any other deductions or credits such as for student loan interest, education credits, retirement savings or health care. In order of filing ease and restrictions, Form 1040A is more comprehensive than the 1040EZ but still a shorter form than the full Form 1040. In addition to the options for 1040EZ, you can file as married filing separately, single head of household or as a qualifying widow(er) with dependent child. You still can't have income greater than $100,000, but that income may be from IRA and pension distributions and capital gains and investment income in addition to the income covered on 1040EZ. While you can't itemize deductions, the form does allow you to claim deductions for IRA contributions and student loan interest and education, child and retirement savings credits. Form 1040 is the full personal income tax return that anyone can file regardless of the amount of their income. This is the form used for itemizing deductions, claiming first time home buyer credit or if your income exceeds $100,000. Also if you are self employed you are required to complete the full Form 1040. While the form is more complicated, it may also allow you to pay the lowest amount of taxes, depending on the deductions you qualify for. The 1041 is the income tax return for estates and trusts. An estate or trust is treated as its own entity as far as taxes are concerned. 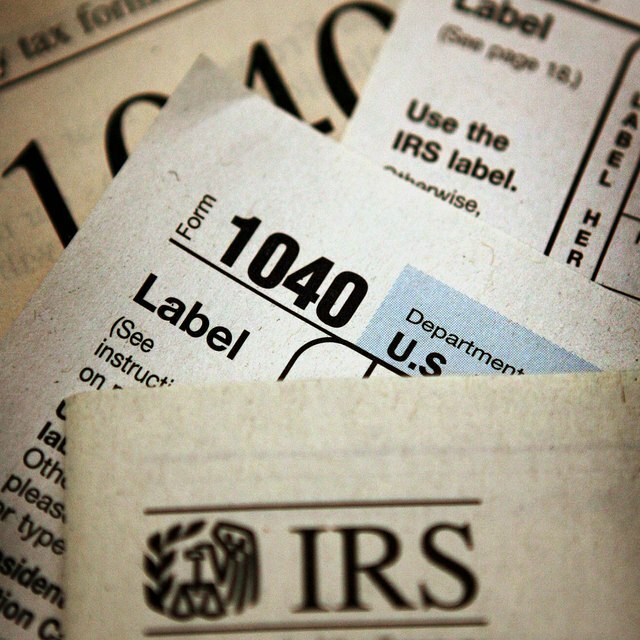 The 1041 includes all income and deductions that are allowed per the IRS guidelines. However any distributions that are made to beneficiaries of the estate or trust are filed on a schedule K-1. The estate or trust does not pay taxes on the distributions to beneficiaries. The tax liability for distributions is reported on the beneficiary's personal income tax return.